Home turkey berry Are you a women who eat tapioca frequently? Read it! Are you a women who eat tapioca frequently? Read it! Tapioca will attract people by its taste even who hesitate to eat root vegetables. We can get plenty of tapioca root during its season. 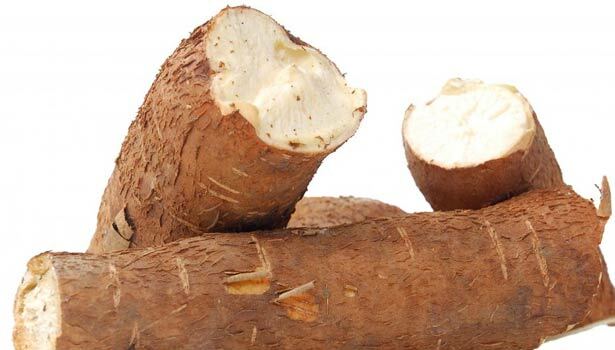 However, when compared with other tubers, medicinal properties are high in the tapioca! If your kids ask potato always, you can try tapioca as an alternative and try different recipes from it. You can make many recipes using tapioca which cant be done with potato. It is healthy for our body as well. Tapioca born in Brazil and slowly spread to tropical countries and has been cultivated everywhere in South America, Tamil Nadu and Kerala due to its taste. Mostly chips and wafers are made in Asian countries using this root. It has multiple names such as Kappai Kizhangu, Kuchi Kizhangu, Maracheeni kizhangu. Tapioca is used as a raw material in various industries, especially fermentation industries. Tapioca is used as the main ingredient in the production of sago, gum and fructose juices. 88% lactose rich tapioca has much medicinal benefit. In Asian countries, it can be used for making porridge and feed to the kids. This porridge is easy to digest and help to increase the weight of the baby. It is used to increase blood red cells, blood flow. Preserves children from disabilities during pregnancy. It is used to reduce cholesterol in the blood. Helps reduce the amount of sugar in the blood. It is used to increase the metabolism in the body. After 40 years of our age, the bone density will decrease. Particularly for women. If we consume tapioca at least once in a week, the bone can be preserved. The tapioca is used to treat Alzheimer's disease. It helps to maintain water balance in the body. Processed sago can be used for diarrhea and weight loss. Those suffering from ulcer pain can consume sago porridge in one hour interval to get rid of. People with chronic secretions can also have sago porridge with buttermilk and salt to get more energy. Stomach pain decreases. Tapioca has similar taste of potato and it has better nutrition than that. More than raw tapioca, tapioca chips are more in use. But it's good if you eat oil less chips which is made in the oven (especially the ones with diabetes and obesity). Boiled and skin removed tapioca -1 cup, turkey berry — 100 grams , tamarind and lemon juice as required, sesame oil — 2 tbsps, mustard seed, fenugreek seeds, curry leaves, garlic — 10 pods, onion 2, tomato -1, salt — as per requirement, gravy chilli powder 2 tbsps. Cut the tapioca into small pieces. Add oil in a pan and season with mustard, fenugreek seeds, curry leaves. Add chopped garlic, onions and tomatoes. Then add the turkey berry and tapioca and fry. Add the chili powder, tamarind or lemon juice, salt and bring to boil. Finally add little sesame oil and switch off flame. Boiled and grated tapioca — 100 g, jaggery — 50 grams, 50 g of grated coconut, 50 g of roasted cashew nuts, a little bit of cardamom powder. Boil and grate the tapioca. Then add all ingredients together and mix it well. Then serve it. Skin removed and half boiled tapioca — one cup , Chana dal, Toor dal, Urad dal — 2 teaspoons each, dried chillies as per spicy needed, garlic pods — five pods, cumin seeds — half a teaspoon, salt as per taste, Finely chopped onion, grated carrot a little, Oil — as per requirement, curry leaves, coriander — a little bit. Soak the pulses. Then Grind with red chilli, cumin, garlic. Then add the boiled tapioca as well and grind it. Add salt, chopped curry leaves, coriander and make adai. Garnish with the chopped onion and carrot on top and add oil on the sides and cook well. Serve hot once it is ready.